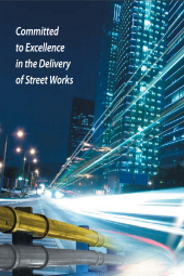 These documents outline utility industry best practice. However it should not be assumed that all mains or services will conform to the recommendations contained in these publications. These guidelines describe utility industry practice. However, it should not be assumed that all mains or services will conform to the recommendations for positioning or colour coding contained in this publication. This section supersedes Street Works UK 2 ‘Provision of Mains and Services by Public Utilities on Residential Estates’, Street Works UK 5 ‘Model Guidelines for the Planning and Installation of Utility Supplies to New Building Developments’, and Street Works UK 6 ‘Services Entries for New Dwellings on Residential Estates’. This document is intended to encourage cooperation and communication to avoid causing damage to cables and ducting and sets out a process for the removal and replacement of third party cable ducting when attempting to access plant. Tree roots keep a tree healthy and upright. Most roots are found in the top 600mm of soil and often grow out further than the tree’s height. The majority of these roots are very fine; even close to a tree few will be thicker than a pencil. Most street tree roots grow under the footway but may also extend under the carriageway. If roots are damaged the tree may suffer irreversible harm and eventually die. The statutory right of undertakers (utilities) to carry out works within the public highway in order to provide and maintain their apparatus dates from the mid- 19th century and is set out in the relevant utility industry primary legislation (see Volume 6 – ‘Legislation and Bibliography’). The New Roads and Street works Act 1991 (NRSWA) as amended by the Traffic Management Act 2004 (TMA) requires all works promoters to notify or apply for permits for all works in the public highway. This legislation also promotes the need for improved planning and co-ordination of all works in the highway in order to reduce the impact of works on the road user and wider community.